Each bid must conform to and be responsive to the contract documents and be submitted on bid forms furnished by the Owner. Public Safety Center is located at 1039 C Street, San Rafael, California and consists of demolition of the existing Fire Station 51, Community Development Blue House and Parking Enforcement Office Trailer are located at the South-West corner of C-Street and 5th Avenue, San Rafael, California and consists of demolition and deconstruction of the existing two story Fire Station and foundation, Blue House and foundation, and the Parking Service Trailer and foundation, asphalt pavement, tree removal, earth work, installation of temporary fence, abandonment and removal of utilities and associated site improvements. Abatement of hazardous materials as described in the documents described by Monte Deignan & Associates. Contractor to protect and detach the exiting building to the south of fire station 51. Description of the work, The Work generally consists of furnishing all labor, materials, equipment, and performing all work necessary and incidental to the Hazmat and Demolition of the project known as the “City of San Rafael Essential Facilities Demolition Project – Public Safety Center”. Bidding documents contain the full description of the Work. Bids are required for the entire work described herein. Procurement of bidding documents: Contractors interested in bidding the project may download copies of bid documents, related attachments and all future communication and correspondence regarding the bid process from the City’s website: http://www.cityofsanrafael.org/facilities/. The City of San Rafael will not be a distribution point for plans. A Pre-Bid Conference will be held at 10:00 am on Tuesday, July 11, 2017 in City of San Rafael Department of Public Works 111 Morphew Street, City of San Rafael, CA 94915. Contractors are required to submit any questions in writing, via e-mail, to Kitchell, the City’s Project Manager’s no later than 5 P.M. PDT on Tuesday, July 18, 2017. No other questions will be received after the deadline. Response to questions received by the City representative will be issued via an addendum on or around Friday, July 21, 2017. A certified check or bid bond for not less than ten percent (10%) of the proposal shall be submitted with each bid as a guarantee that the bidder, if awarded the Contract, will fulfill the terms of the bid. The City of San Rafael reserves the right to refuse any or all proposals or bids or portions thereof. 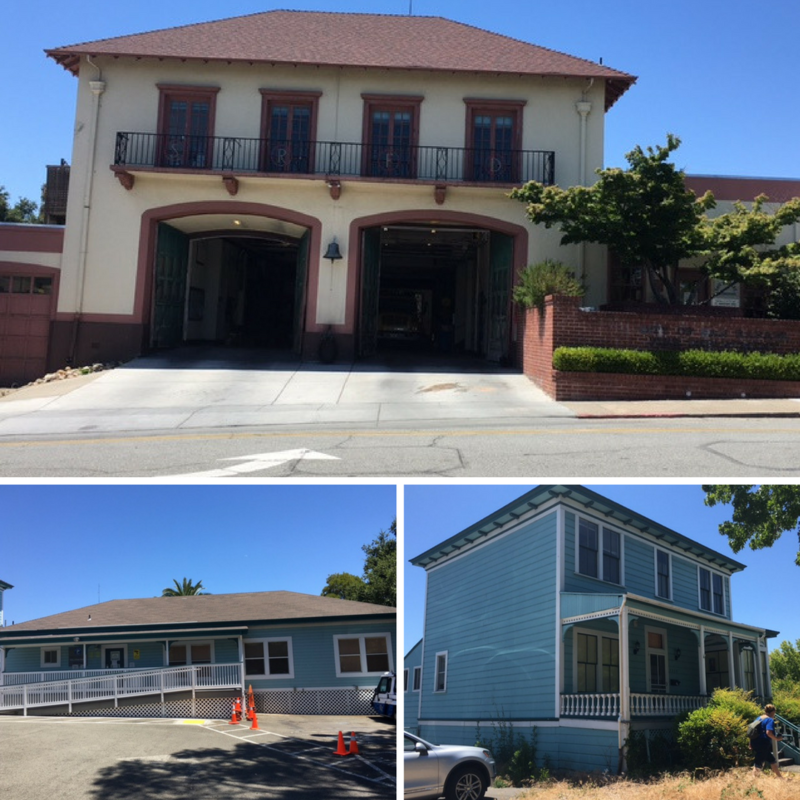 Bids shall be marked: Bid of (Contractor name) for “City of San Rafael Essential Facilities Demolition Project – Public Safety Center”, along with date and time of bid opening. Bidding procedures are prescribed in the Project Manual. Bids shall be executed upon the forms bound and made a part of said Manual. Bid guaranty in an amount not less than ten percent (10%) of the total bid dollar amount and conforming to the prescribed bidding procedures is required to be submitted with each bid, as a guaranty to be forfeited should the bidder, if awarded the contract, fail to enter into the same, or fail to furnish in a timely manner the bonds and/or proof of insurance. Bids shall not expire for a period of ninety (90) days from the bid date. Pursuant to Labor Code section 1771.4, this Contract is subject to compliance monitoring and enforcement by the Department of Industrial Relations. Each Trade Contractor and Subcontractor performing work on the Project shall be required to comply with the provisions of the California Labor Code, beginning with section 1720, and the regulations of the Department of Industrial Relations’ Division of Labor Standards Enforcement (i.e., the Labor Commissioner), including, but not limited to, the standard provisions requiring payment of prevailing wages, maintenance and submission of certified payroll records, and the hiring of apprentices as appropriate. Unless otherwise specified, the Trade Contractor shall be required to post job site notices regarding the requirements of this paragraph, as prescribed by regulation. Trade Contractor and each Subcontractor shall be required to furnish the records specified in Labor Code section 1776 directly to the Labor Commissioner at least monthly, or more frequently if specified in the Contract Documents, and in a format prescribed by the Labor Commissioner. This requirement shall apply to all projects, whether new or ongoing, on or after January 1, 2016. The City of San Rafael will make a bid selection based on the lowest responsible and responsive bidder meeting the minimum qualifications. If only one bid is received, the City of San Rafael reserves the right to negotiate with the responding Contractor. If no bids are received, the City of San Rafael reserves the right to identify interested Contractor(s) and negotiate directly without re-bidding. The City reserves the right to reject any and all bids, to waive any informality in a bid, and to make award as the interests of the City may require. This notice is given by order of the Board of Directors of the City of San Rafael.